Throughout the past year, we here at homify have been sharing some of home and design's most innovative ideas, cleverest tips and tricks, and inspiring images. And now that we are a few weeks in of 2017, we'd like to look back on ten of the most beautiful façades we've ever laid our eyes on last year — a little #ThrowbackThursday, if you will — in hopes that it will give you ideas on how to give you exterior that much needed flair this 2017. Textures play an important role in design. 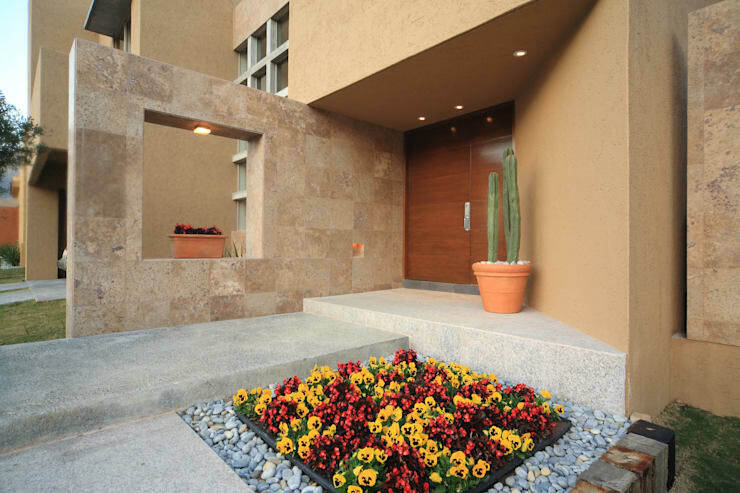 And, for this house, they have managed to merge various textures and materials such as stone, glass, and concrete into this understated, Mexican-inspired masterpiece. Want to see more details of the whole property? Click here. 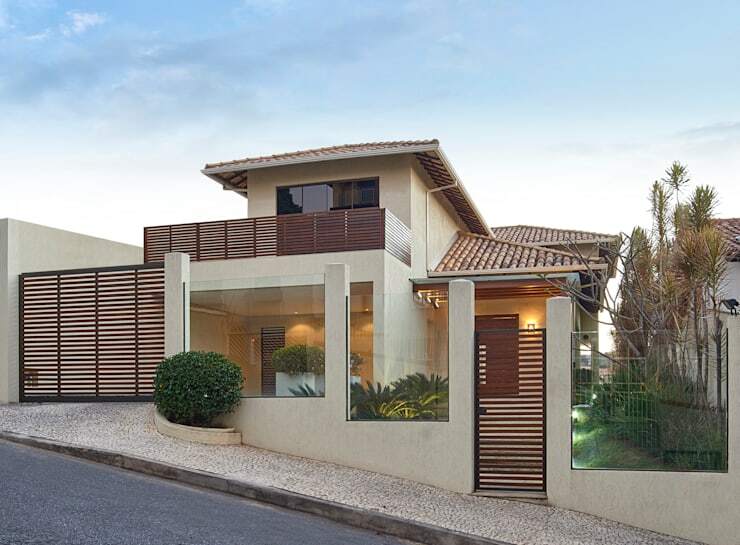 The exterior of this Brazilian residence may be marked by modern partial glass walls and two metal gates, but the addition of small openings and neutral palette give it that subtle touch of sophistication and tradition. The facade of this house is formed by simple shapes, almost like a block consisting of straight lines! The front entrance's high ceiling contrasts with the other side's two-level appearance, giving it that ingenious illusion of size. 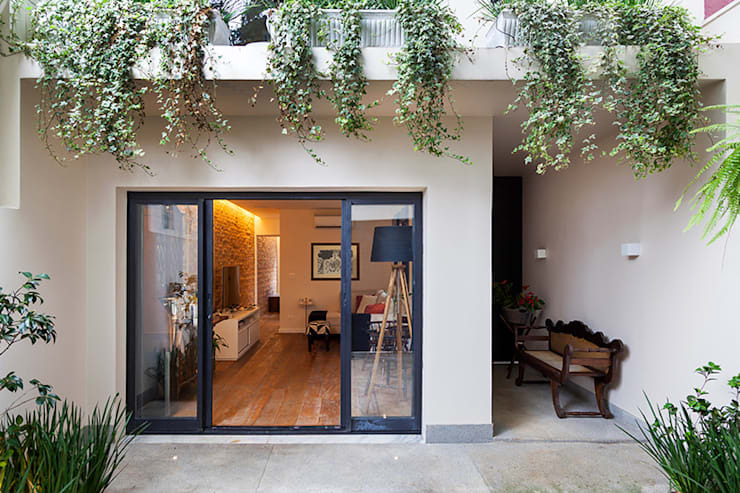 As we always say here at homify, the façade is a home's business card and, here, it is truly well represented. 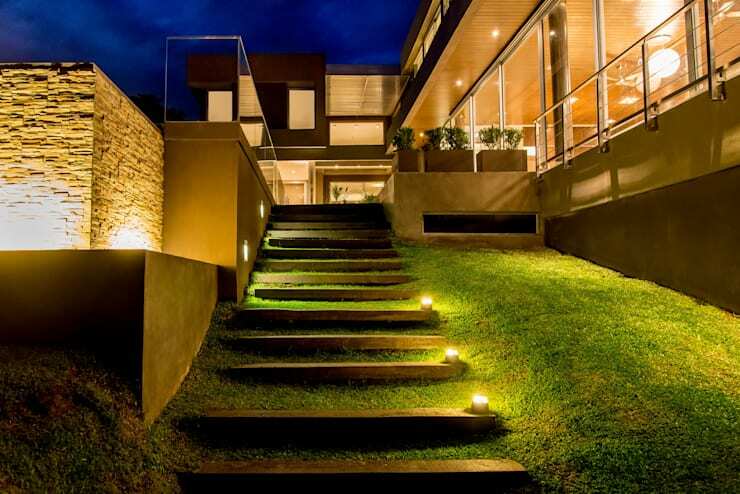 Create a dramatic entrance for the evening by installing a well thought-out lighting design. Add some lights on the steps of the stairs! Also, stick to a single bulb color for consistency. 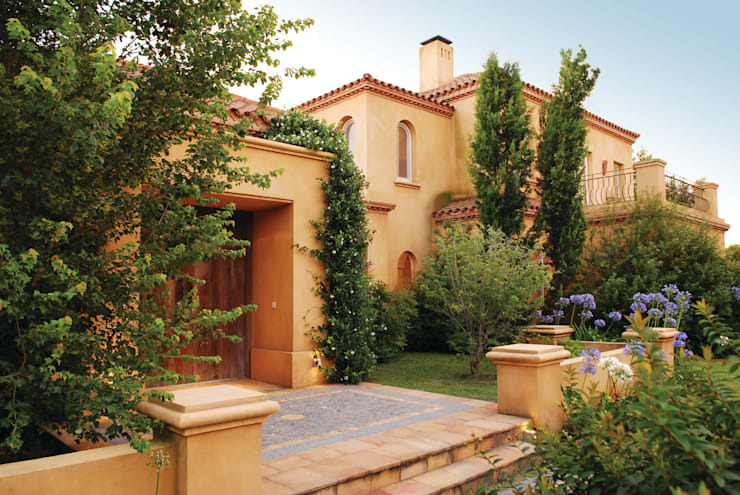 Bring a piece of Italy into your neighborhood by opting for a Tuscan-inspired façade with the interplay of of sunny colors, luscious garden, and natural materials such as wood! Here's a little trick for adding that hip vibe to your entrance (especially if you have a balcony at the front): place plants on the terrace and don't trim them! Instead, let them crawl down to achieve that charming, tropical look! 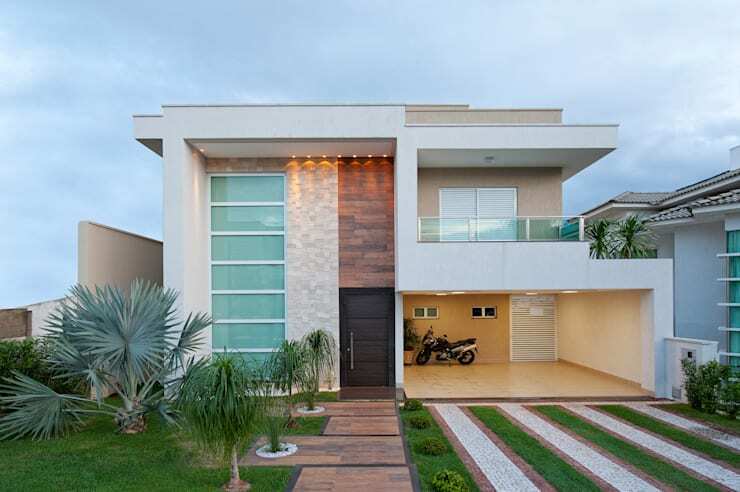 The beautiful façade with two floors is simply captivating. 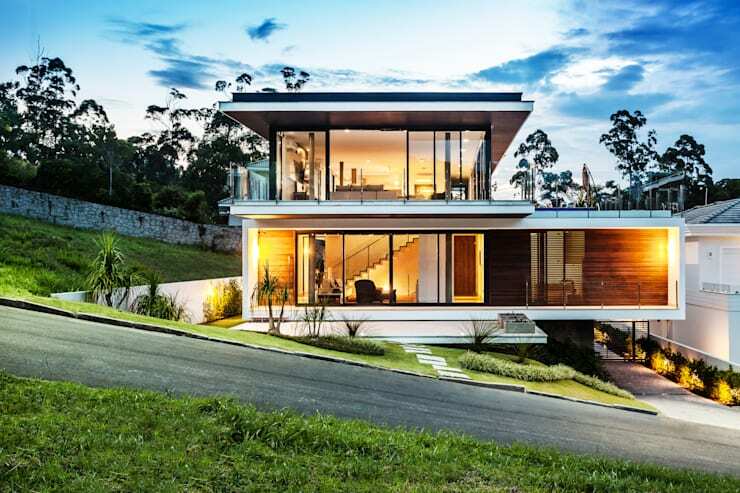 With the presence of materials such as stone, wood, and glass, the residence brings modern details to the forefront. 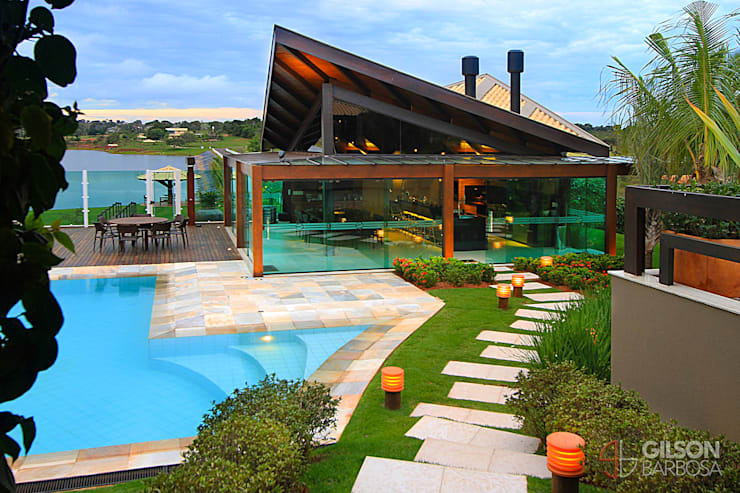 One of the most beautiful façades we've seen here on homify is this resort property in Mato Grosso do Sul. The architectural project took advantage of all the beauty of nature by letting its surroundings reflect on glass. Built in an open area, the architects of this property made it their mission to exploit the lot's expansive landscape. 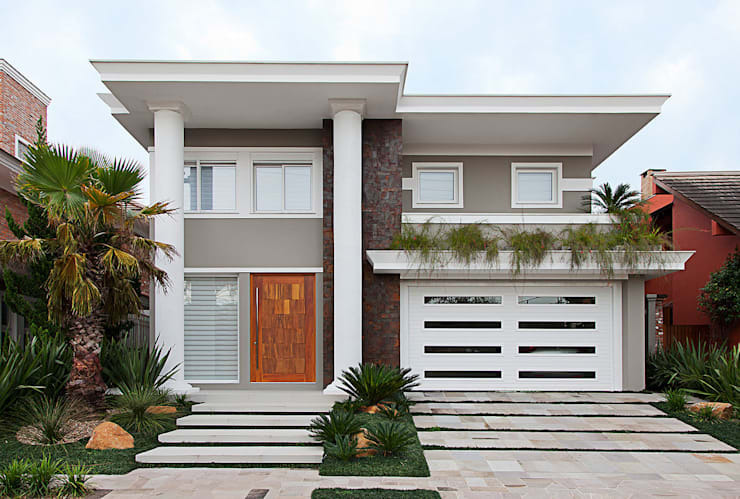 As you can see, its façade is modern and features elegant materials that exude contemporary luxury and freshness. There is just something about an all-white property that makes a property stand out. 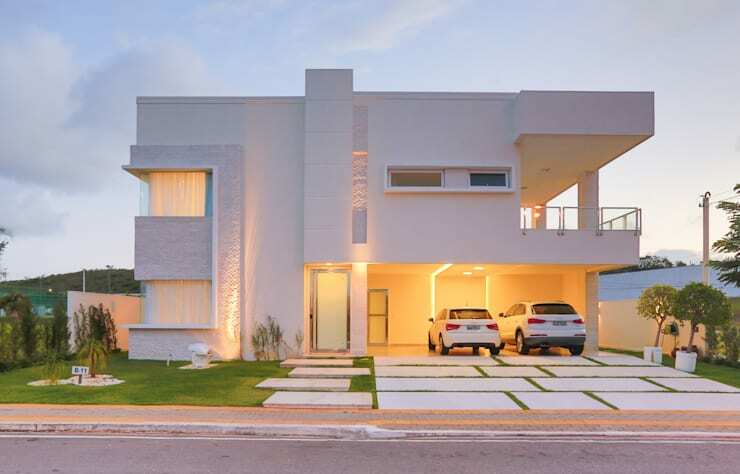 Case in point: this beautiful two-storey home designed by Rita Albuquerque.